Gacha games are out to take our money. Everyone who plays them knows this, and hopefully has a basic understanding of the gambling logic intrinsically tied to the random character drop formula. But the games are free, and they usually have pretty designs and a dopamine-spiking gameplay loop of making numbers go up and unlocking new characters. So we keep on coming back. My gacha game of choice lately is Dragalia Lost, the Nintendo-Cygames collaboration that’s rocketed to being Nintendo’s second most successful mobile game since its September 2018 release. It’s got a number of appealing hooks for a mobile game: the premium currency racks up at a decent pace if you have the fortitude to avoid spending it on even one round of new character introductions, the energy cost of a level (a standard format of mobile games meant to make the player either wait to play or spend money to get more energy) is only spent if you successfully beat it, and it has the ever-important “auto” function for mining — letting the game play itself when you’re repeating a quest for the fiftieth time. But as someone who’s been playing since launch, it’s been especially interesting to watch the game learn its audience. While the first wave of story aims squarely for a presumed audience of straight men, subsequent character stories have slowly expanded their reach. It raises the question: how should we feel about representation in games that’s born not simply from artistic reflection but also from a desire to open the audience’s wallets? The main storyline of Dragalia is by far its least interesting and least important narrative. The average player will probably forget it exists entirely, as the chapters thus far can be cleared within a few days and are rarely updated. By contrast, timed story events have been occurring almost constantly, at a ratio of ten timed events to one main campaign update at time of writing. 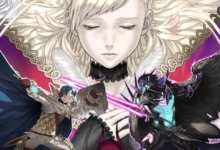 While there technically is an overarching narrative about an exiled prince who’s trying to save his possessed sister and take back the kingdom from a handily iterative number of antagonistic older siblings, the bulk of what players actually experience is a recruitment drive about rallying various summonable characters to the cause and hearing their stories. 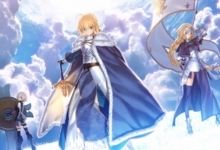 Like Fate Grand Order or Fire Emblem Fates, the pseudo-dating mechanic of leveling up characters to progress their stories is key. As I mentioned, the first “wave” of writing — the main narrative and content available at launch — is geared toward an assumed male and heterosexual audience. 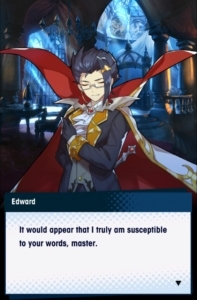 Unlike other party-gathering games, the player is actually taking on the role of a predefined male character named Euden rather than the more standard player-insert cipher, restricting certain choices right from the get-go. 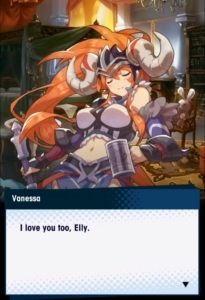 Freebie party members Elisanne and Cleo bicker over wanting the hero’s attention, lady dragon Brunhilda (or “Mym”) immediately declares herself his one-and-only. Conversely, male party members Ranzal and Luca’s stories end by emphatically underlining how very Platonic and Brotherly their relationship to the lead is. 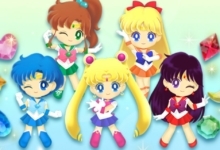 Early recruitable characters followed similar trends: fortune-teller Verica has a vision of having a child with the protagonist in future, naïve Philia demands his hand in marriage at first sight, dude-magnet Malora comes chasing after him because he doesn’t show interest, preacher Estelle hounds him because of supposed impropriety but secretly has a crush herself, and so on. None of these stories are terrible in their own right, but they start to wear on a player who isn’t part of that intended audience, and it’s hard not to notice the way the male recruits have a much broader range of stories that don’t revolve around the player character. But as the months have gone on, with each new timed event introducing one to three new characters, there’s been an apparent effort to freshen up the character writing. The nature of visual novel-type storytelling means that growing intimacy with the player character is a bedrock of the narrative, but the game is starting to explore this in ways other than romance. Subsequently released female recruits have had problems ranging from professional woes to chasing parental legacies, and the ends of their stories are as likely to emphasize friendship and loyalty as romance. 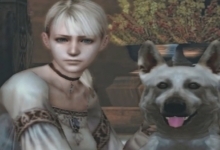 For instance, traveling merchant Francesca finds a permanent home with the protagonists, and super-famous singer Lucretia struggles to recapture her love of the art. On the flip side, the game’s opened up to embracing much more ambiguity with its male characters. 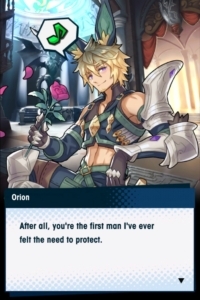 The biggest case is Orion, the flirty bodyguard who basically names the main character his male “exception” at the end of his story and was recently brought back out with a holiday reskin for Valentine’s Day. But a few other cases have cropped up in the meanwhile — archer assassin Joe’s backstory involved falling in love with his mark, butler Edward’s Halloween variant includes many a portentous comment about secret feelings, and recent hot humanoid dragon addition Prometheus was billed as an accidental “rival” to Mym. I don’t mean to bill all this as a rousing win for representation: the language is a little too safely vague, the game is quick to jump to jokes to maintain plausible deniability, and the fixed male protagonist means queer women get left out in the cold — unless you include barbarian Vanessa’s excellent pursuit of making better “friends” with Elisanne. But it does interest me on a marketing level. Gacha games are objects of almost pure commerce. While a lot of hard work and artistic talent is poured into them, the capitalistic intent behind them is nakedly visible: they want to take your money. And the best way to do that, it seems, is to try and appeal to as many audiences as possible. It’s almost like the inclusion of three dimensional women and queer characters is an expansion pack to explore new markets once the reliable base has been secured. Moreover, this only goes as far as things that won’t scare away the “core” audience of straight men. Regardless of this hedging, it’s understandable that queer audiences might be excited to see queer characters in their favorite games — even if their inclusion is safe and calculated. The trick is to find the balance between finding joy in those reclaimed half-measures and heaping praise on developers who are still hiding behind careful marketing tabulations. Creatively driven, deeply meaningful works like Night in the Woods or The Missing that create well-drawn women and LGBTQ characters are important for setting an example. Of course, the developers of these kinds of games are trying to make money as well, but they have the benefit of having smaller development teams and budgets that allow them to seek out niche audiences. They can, in essence, “afford” representation. In contrast, the argument made against representation in AAA games often comes down to this: that because of their high cost of production, it is only natural that they would court the largest potential audience of gamers, which is presumed to be straight men. However, this is an assumption based on an outdated model, particularly in mobile gaming: nearly half of game players overall are women, and that number jumps to nearly 70% in the mobile market. Queer gamers have barely been surveyed as a potential market, beyond the basic acknowledgement that the majority of us find existing representation insufficient. Even if we put aside arguments of cultural responsibility and ethics, pure economics suggest that the current landscape of representation is unbalanced. 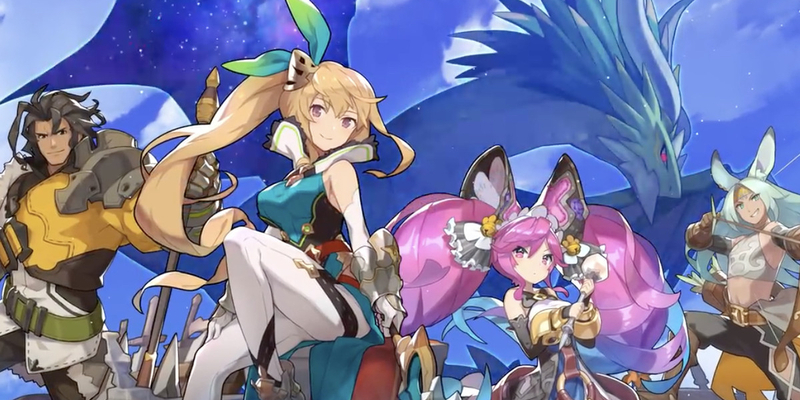 Games like Dragalia Lost prove that there are gains to be made in broadening the kinds of characters and stories in games. That fact is no doubt in part behind the addition or revision of queer characters in Overwatch and Apex Legends, which are notable primarily in that they acknowledge the diversity of the player base in a genre whose stereotypical representation is 13-year-olds screaming epithets over headsets. It is not that popular games are too big to diversify. On the contrary, the extreme amount of invested capital means that they can take the minor hit of bigots quitting in a huff and still be successful. Dragalia Lost has taken steps towards something different, and it doesn’t show any signs of slowing down — it suggests there’s a lot more to be gained in appealing to a wider range of gamers than there is to lose from the ragequits of bitter, hateful scrubs. If you are interested in an example of a good gacha game with queer female representation Honkai Impact 3rd is a great example. Most of the women in the game are queer and are openly in a relationship with each other. Oh, interesting. Thanks for the recommendation!